Clemson Girl: Winner of the Flower Power Giveaway! Winner of the Flower Power Giveaway! 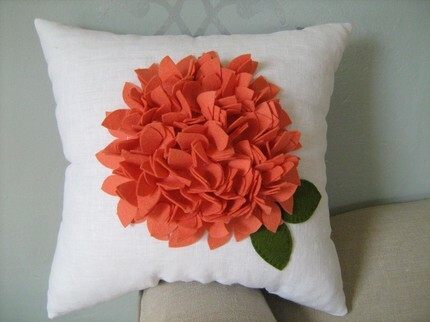 On Wedding Wednesday of this week, we announced our latest giveaway - this adorable, handmade hydrangea inspired pillow. Everyone who entered answered the question, "What color would you pair with orange for a wedding?" No surprisingly, there was a lot of lavenders and purples. We sure do love our Tigers. But there were also some other color combination suggestions - pinks, greens, yellows, etc. "I would use white\ivory or purple!" Congrats Linda! Email us to claim your pillow prize!